Today, when many skeptics are raising questions whether one of the most powerful forces that have shaped recent human history is on the decline, if not dead, hear a very different view. Rather, globalization is not dead, and in fact, it is accelerating but it in a very different way. Arindam Bhattacharya will give a talk on this new globalization and what it means for public policy, industry structures and global business models. 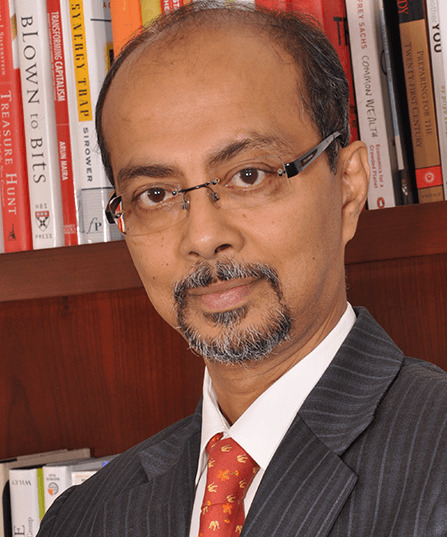 Arindam Bhattacharya is the senior partner and director of The Boston Consulting Group (BCG), India and the co-leader of Bruce Henderson Institute, BCG's new research institute. He is also a BCG Fellow. Before taking over his current role, he led BCG India for six years. He is a member of the global leadership team of the Public Sector and Social Impact practices. Prior to that, he was a member of the global leadership team of BCG’s Industrial Goods practice and the co-leader of BCG’s Global Advantage Initiative. As a BCG Fellow, he has been researching, writing and speaking extensively on globalization. Bhattacharya was educated at the Indian Institute of Technology, Kharagpur, Indian Institute of Management, Ahmedabad and Warwick Manufacturing Group, University of Warwick, UK where he completed his Doctorate of Engineering. During his residency, Bhattacharya will be focusing on globalization, new models emerging and the impact for businesses and jobs. View Bhattacharya recent TED@BCG talk here.